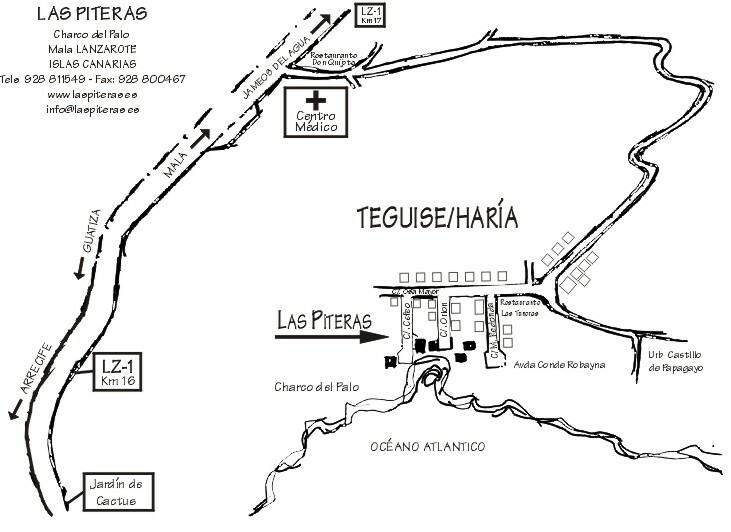 Las Piteras is situated 15 miles north-east of Lanzarote’s capital, Arrecife, three miles off the main road near the village of Mala. This isolated location ensures a peaceful and tranquil holiday close to nature. The group of three (mainly single storey) buildings has been built on a sand-covered clifftop, overlooking the sea. An almost permanent breeze tempers and dries the prevailing heat, ensuring comfortable nights’ sleep under a blanket - even in the summer!